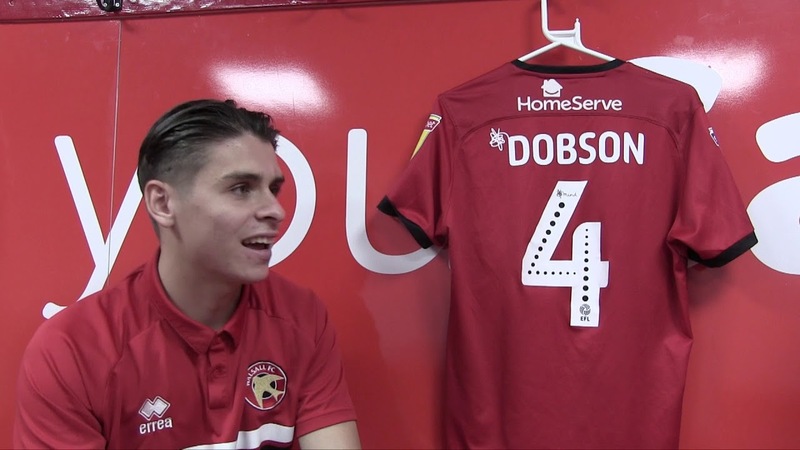 Walsall midfielder George Dobson has spoken ahead of this afternoon's League One clash with Accrington Stanley and insisted that he and his teammates have the hunger to return to winning ways and secure a spot in the third tier of the English game for at least another season. Speaking via the Express & Star, Dobbo said; "100 per cent we have the hunger needed to stay up. Nobody wants to be playing in League Two next season. Every player is hungry to stay up. "It has happened a few times this season where a few players have gone within themselves in games. It happened again against Oxford, but we know we have got to be much better than that. "I’m still very confident we will stay up and there is definitely still hunger in the dressing room to stay up. Over the next three games we are playing the teams that, along with us, are in the worse form in the league. "They are going to be sat there ahead of the game thinking exactly the same thing we are. Accrington, Southend and Wycombe are three games that we can’t go into fearing what could happen. We can’t play within ourselves."